Nashbird has been getting all the attention, and that’s fine. Hot chicken is a big deal and you’ll definitely see a review coming sooner than later. But while crowds have been yelling “Hot Dang!” at the new restaurant, there’s another Ninth Street eatery that is staging a comeback — Iguana Mexican Grill. 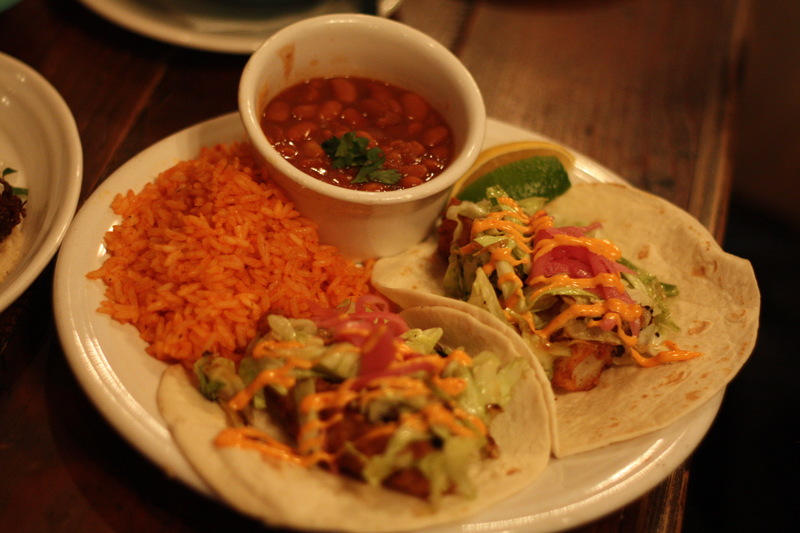 Iguana is the granddaddy of Ninth Street’s restaurant scene. Before Automobile Alley was its own hotspot. Before the second S&B’s Burger Joint. It was at the forefront of the social media food revolution thanks to former head chef Ryan Parrott (currently killing it at beloved Paseo restaurant Picasso Cafe). After Ryan left, the restaurant continued on with his menu, but without his passion. And if you don’t think passion shows in the food you eat, you might need to go somewhere new. Last year, the restaurant gained a new owner and a new creative vision in chef Marc Dunham. Dunham has been making some of my favorite food for years. 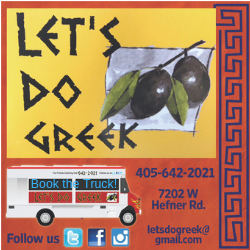 He owned the food truck JT’s Tacos and led the Francis Tuttle Culinary Program, including starting District 21. He even made a documentary about raising heritage pigs. Marc knows his food, is what I’m saying. And since joining Iguana, he’s made improving the menu his personal mission. Let’s start off with the most basic thing and the one that Iguana does right every time: chips and salsa. Complimentary chips and salsa are not new. If anything, they’re expected at every Mexican restaurant. But the salsa at Iguana is something special. Fresh and chunky, it’s almost closer to pico de gallo than the salsa you get at most places. I went with Burrito Boyz member Brian Byrne and he confirmed how good the salsa was by plowing through it with me as fast as humanly possible. I think we broke some land speed records. Now, you will be paying for queso. And that’s because this is actual queso and not the cheese jelly you’re used to. 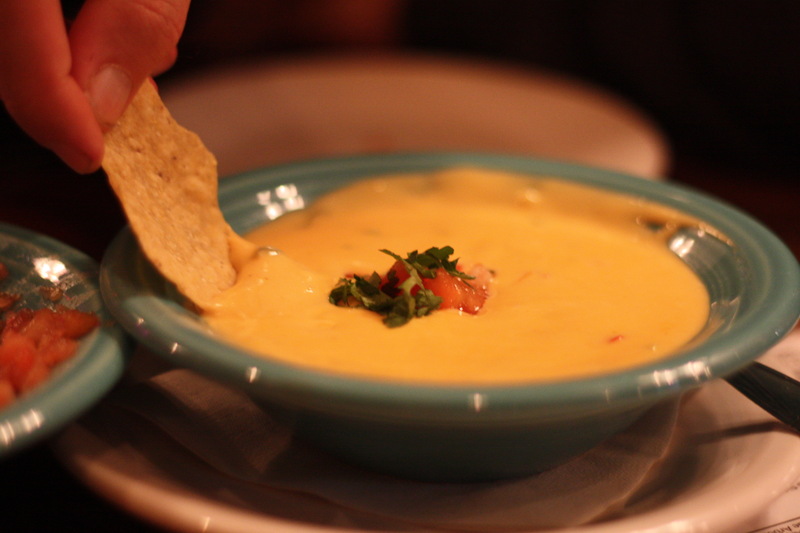 The Seven Pepper Queso ($4.5 cup/$7.5 bowl) is extremely cheesy and gooey in all the right ways. But if that’s not enough, you can crank it up by adding beef, chorizo, chicken, black beans, sour cream, guac, bacon or roasted green chiles for $1 each. My choice: green chiles. Now. Forever. Always. If you, like me, enjoy the occasional cocktail, might I recommend the extensive list of margaritas at Iguana? I like blood orange everything, so the blood orange margarita ($12) was a natural choice. It’s a little tart, a little sweet and plenty boozy. The fresh-squeezed lime juice and orange juice (and the blood orange liqueur) make this a potent and pretty glass of happiness. Hey. Kid. You like soup? Of course you do. And now that temperatures are dipping into chillier territories, dishes like Sopa Azteca ($5 cup/$8 bowl) are even more attractive. 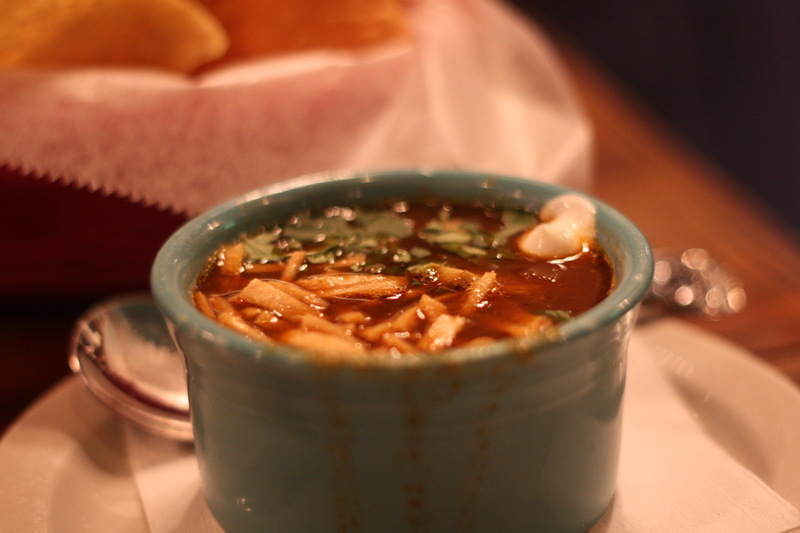 It’s a classic chicken tortilla soup, but I was blown away by the broth. Thin strips of fried tortilla softening alongside a pretty decent helping of shredded chicken give the soup heft and texture, but the broth was the real star. Dark, rich and salty, it was so lovely to gently sip it from the spoon. The heat of the liquid and the warmth of the spicing spread through my chest in a way that I can only guess is what love feels like. 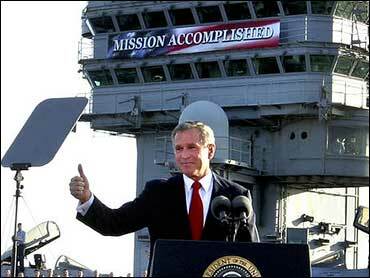 Then I ordered cheese enchiladas. 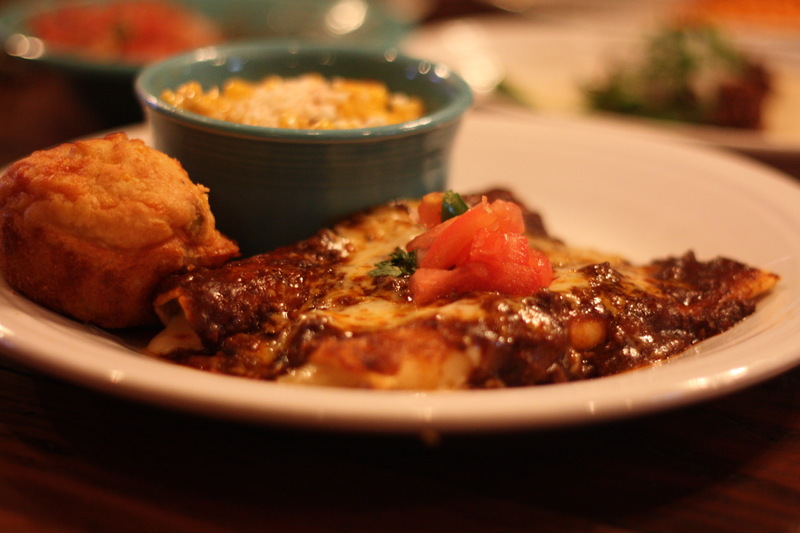 Let me tell you something about Enchiladas Chile Con Carne ($12). This dish is proof that a cheese enchilada can and should be better than what we’re getting elsewhere. The dish is as simple as it comes, but it stands out because of excellent ingredients made with care. The enchiladas are made with tender corn tortillas, just aching to be cut with the side of your fork, wrapped around a filling of Oaxaca and Chihuahua cheeses that is melty and chewy and dense and flavorful. Why isn’t this cheese in every other cheese enchilada? It wasn’t fancy — it was just good. On top of the enchiladas was a perfect smothering of chile con carne, made rich and dark with spices and slow cooking. It was beefy, but the meat was almost besides the point. The flavor was intense and deep. It begs you to take a bite, chew and ponder. That’s what great dishes do: they ask you to think about what you’re eating. You can enjoy it mindlessly, but it’s also fun to get lost in the melange of flavors. Also, I got elote on the side and, wow, this is some really good corn. I don’t mean that in a puckish way, either. I gave Brian a bite and then yanked it back to me, like a character in Mortal Kombat, because I wanted to eat the rest of it like a monster. Brian ordered crispy fish tacos ($14), which he was kind enough to share with me, and I think this is another case of Iguana taking the normal and making it extraordinary. Fried cod in a flour tortilla is pretty basic, right? But add in some roasted cabbage, pickled onion, chile-spike aioli and a jalapeño salsa and you’ve got something special. Can you taste the cod? Ehn. Kind of. Cod isn’t so powerful a flavor that it can shine surrounded by all these other stars. But it provides a great meaty, neutral base to give the other ingredients a chance to impress. 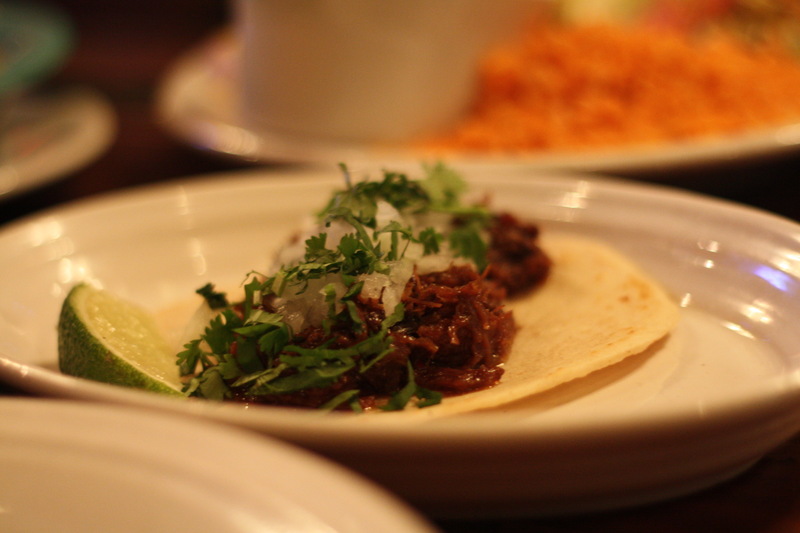 On the other hand, the Beef Barbacoa Tacos ($13) do not have the same dynamic and I dig that. The beef is slowly cooked until it enters this weird state where it’s not quite solid and not quite liquid. It is its own sauce. A BIG portion of that crazy tender, ultra-flavorful beef is stacked in a fresh corn tortilla with a sprinkling of diced onion and cilantro and it’s just perfect. That’s it. It’s perfect. You must get one and you must do it now. Before leaving, Marc stopped by the table with a Quesadilla Oaxaca ($13) that was as simple and glorious as the quesadillas of your dreams. You guys dream about quesadillas, too, right? It’s not just me? Okay, good. 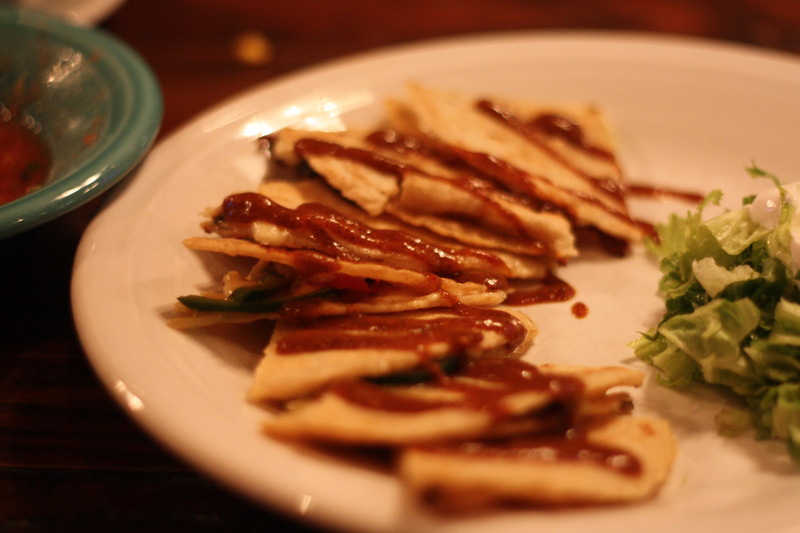 They use handmade tortillas and fill them with Oaxaca cheese and sear them in a pan. There’s some sauce on top, and that’s lovely, but they could just serve the quesadilla plain and I’d be happy with it. 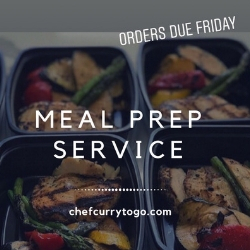 Simple preparation of outstanding ingredients wins every time. Dunham’s revamp of Iguana isn’t done yet. He’s not the kind of guy to just call it good and move on. Iguana is coming back in a big way and it will behoove you to go in now before the lines get out of hand again. Because they will.